Some of Clouse's teammates are on the Psychlo X RSL but her machine is the Psychlo X with 142 x 12 thru-axles paired with a carbon TRP fork. 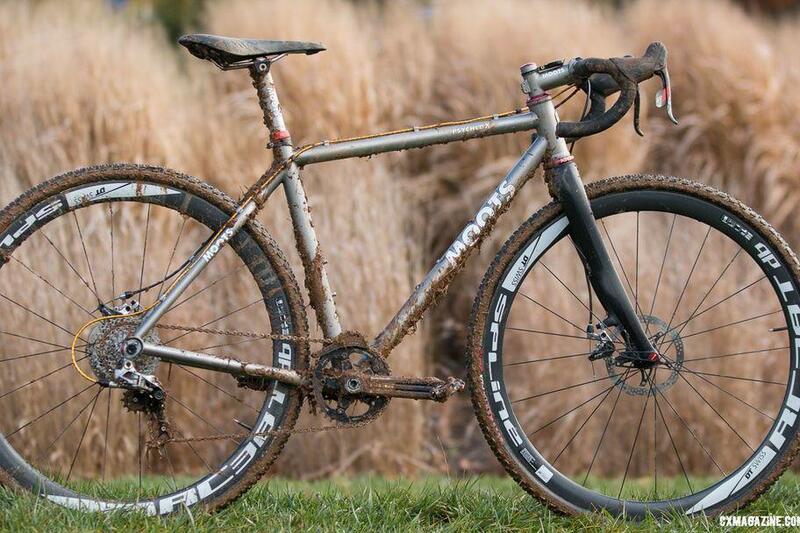 Many racers find that titanium's ride quality and durability make it well-suited for cyclocross. And with nearly 20 years experience building cyclocross bikes, Moots' offerings are up to the challenge of racing for the win at Cyclocross Nationals. Read the rest of the piece HERE .